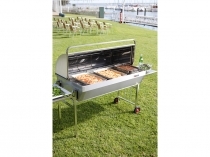 are designed for professional caterers, sporting clubs and schools. 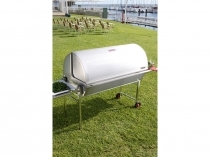 They are also suitable for camps and camp sites. 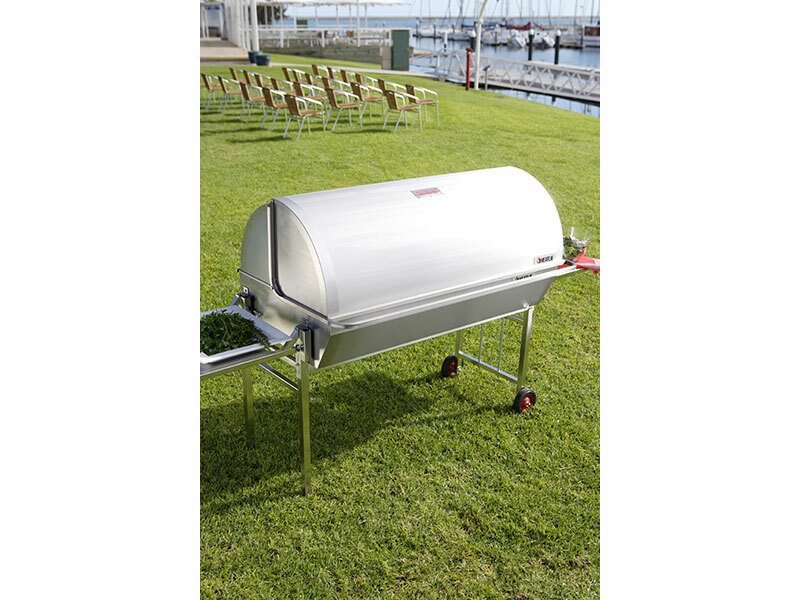 This product is available in an enormous 80kg capacity. 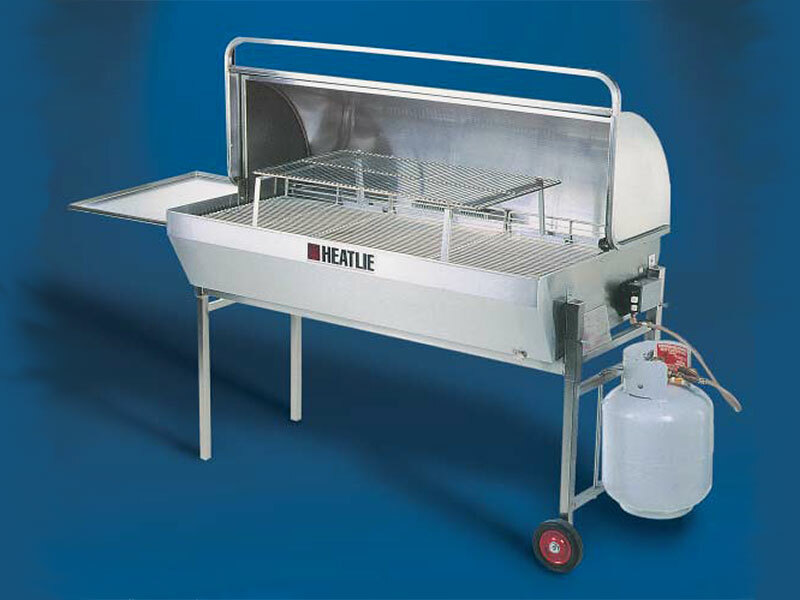 Heatlie Roasters are manufactured to last a lifetime from durable stainless steel. With no moveable parts to break down during an event, this is the ideal product for caterers. 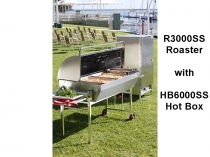 Heats to maximum temp 350C. An auto push button piezo ignition for easy starting. 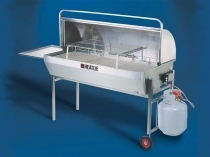 A flame protection device, which cuts off the gas supply if the flame is accidentally extinguished. 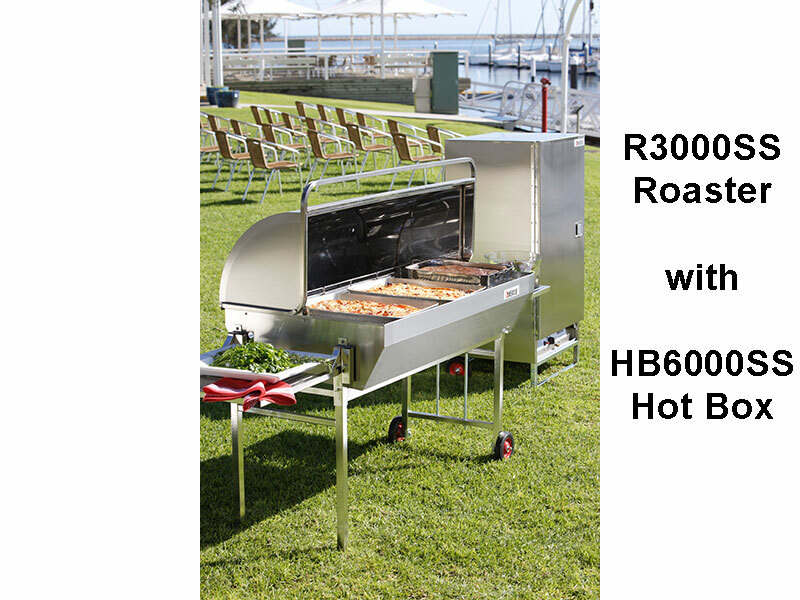 The Roaster has removable legs for ease of transport. 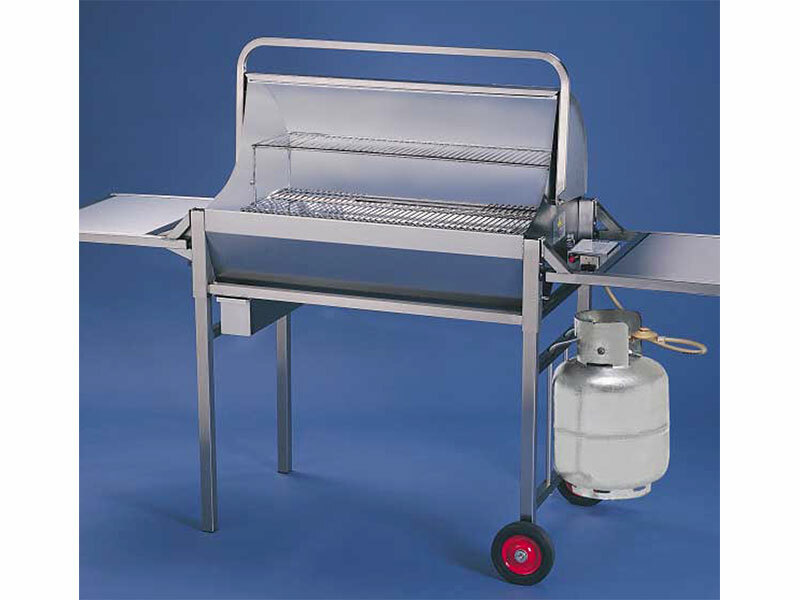 Stainless steel legs including unique gas bottle holder. 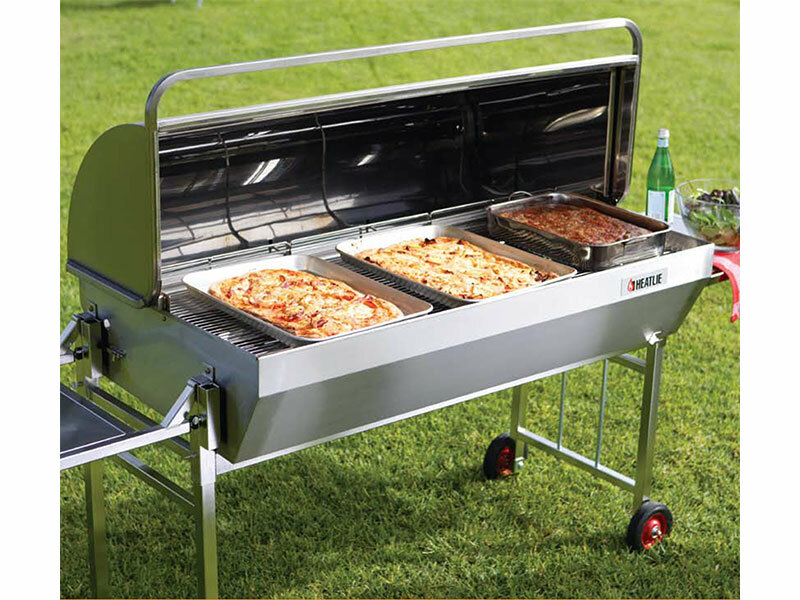 Available with LPG for outside use only. 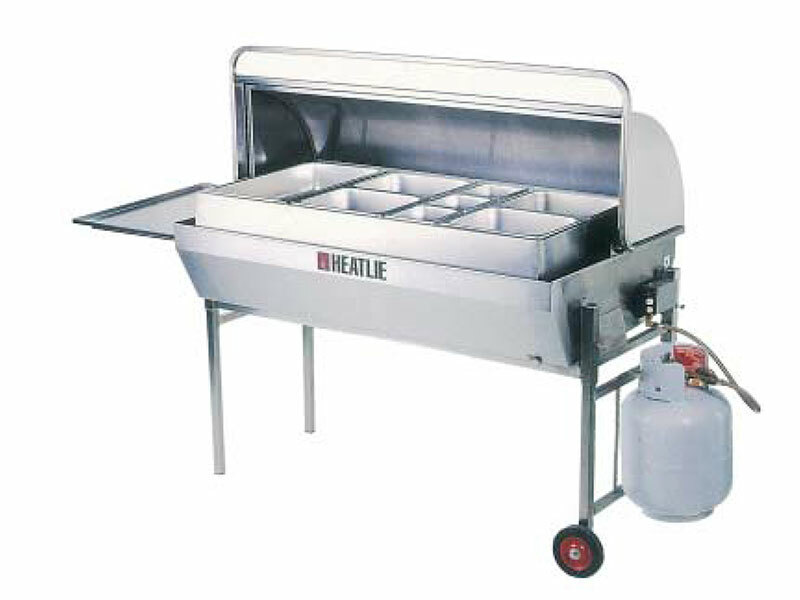 Bain Marie – Bain Marie base tank which is filled with water, and a full set of 100mm deep Bain Marie pans. 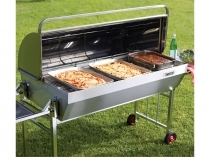 Spare burner - recommended for caterers to ensure cooling all year round, with the back up of spare parts during the busy Festive Season. Heatlie Roasters can be shipped Australia Wide and to Overseas destinations.